My 3 year old, R, is crazy about Spider-Man! 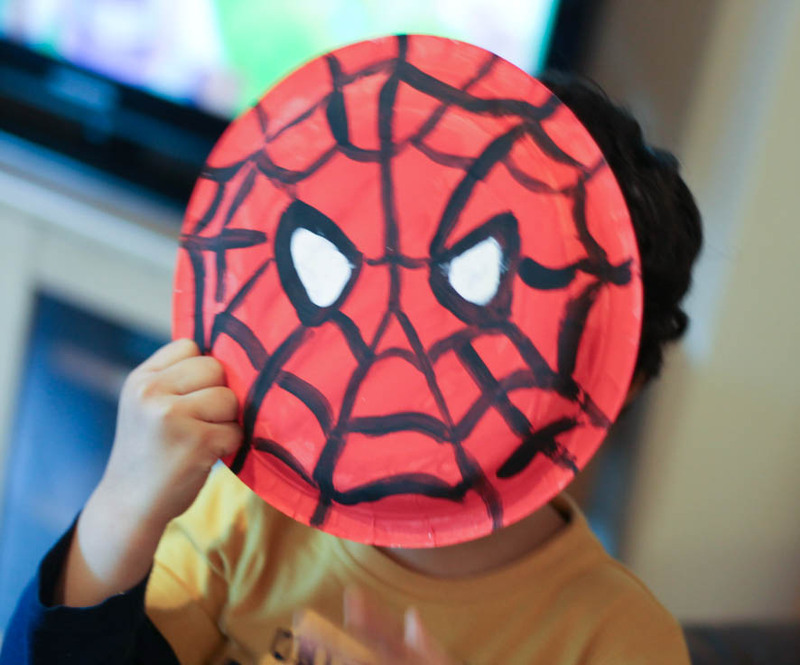 Since we all love paper plate crafts, then making a paper plate Spider-Man with him was the obvious craft idea. 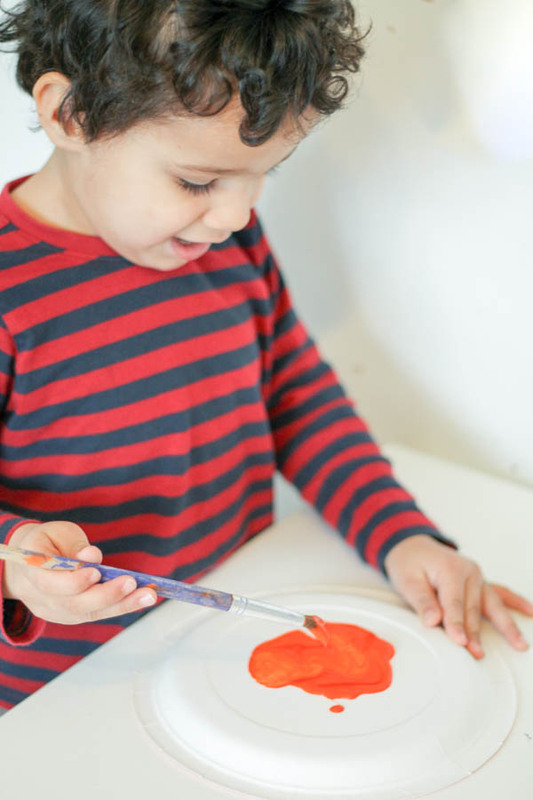 We made these two different ways – one way a little easier for younger children like R, and the other one for those with slightly more control using a paint brush. So, the design which you can see above is the painted design. We looked at pictures of Spider-Man and copied the basic shapes of his face. And then add the black web design over the rest of the face. This part is the one that very young children will probably need some help with. 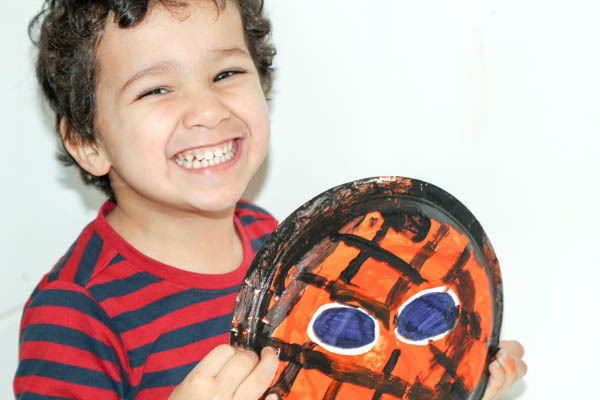 Once the paper plate is dry, you have your Spider-Man face which is fun for little ones to play with as a mask, or place in their bedroom to decorate. To use it as a mask, you can punch a hole in each eye to see, using a pencil or sharp knife, and punch a hole on either side using a hole puncher to string some elastic through to make a strap to hold it onto the head. 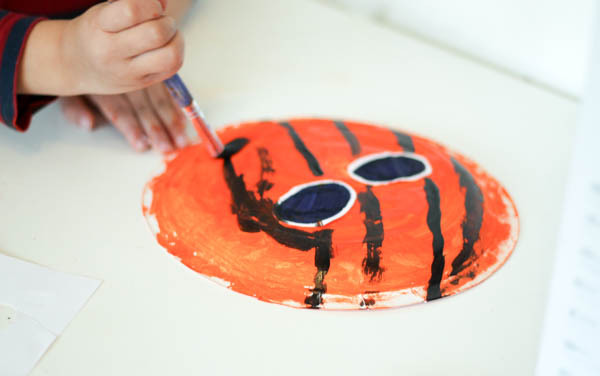 For younger children, they can also make a paper plate Spider-Man by sticking all the pieces down onto their red paper plate to construct the face. And of course, you can wear this one as a mask too if you like! 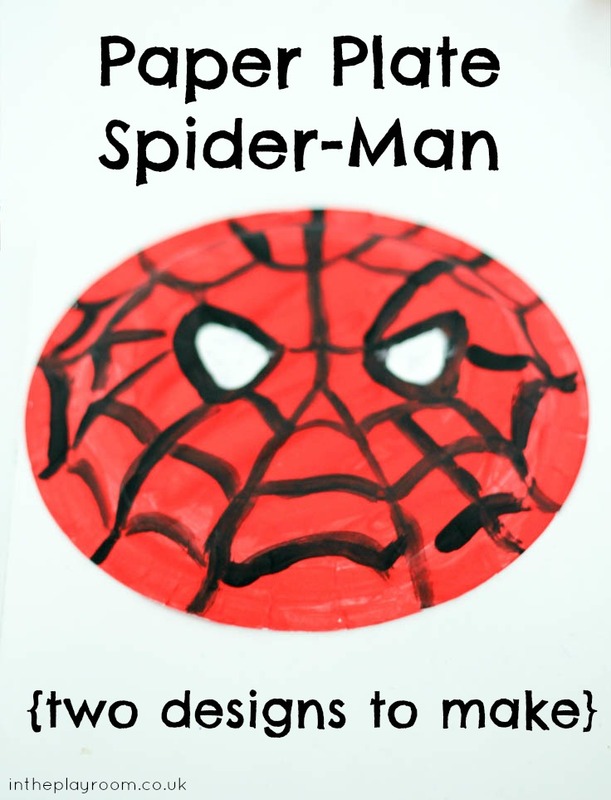 This is a super easy and fun Spider-Man themed craft that any Spider-Man fan would enjoy. Have fun! If you would like more super hero paper plate crafts, my friend Kate at Crafts on Sea has just made a Captain America Paper Plate shield with her little boy, and it is super cute! SOOOO cool! My son would have loved to make this when he was younger – actually he’d probably still like to have a go now and he’s 15! The comic book geek in me wants to decorate the kitchen in superhero paper plates now. 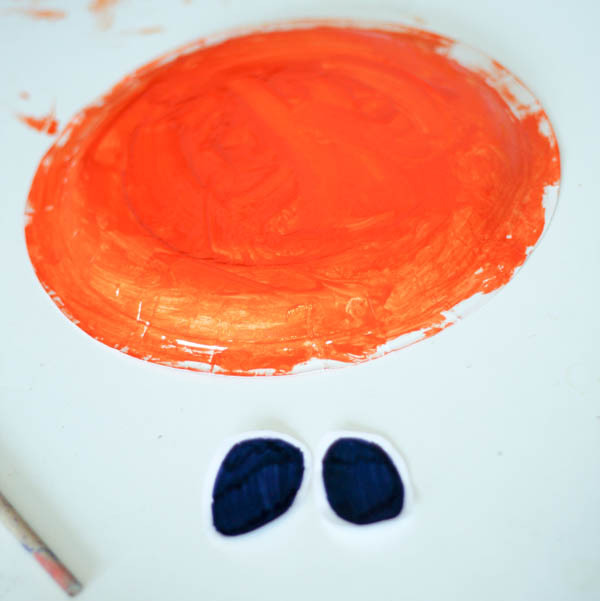 My boys will love making these! what a simple but clever idea!